Hayward likes being good at the game, but it’s not just his competitive spirit. It’s how he winds down after practice. Celtics forward Gordon Hayward was just ranked by Sports Illustrated as the 25th best NBA player heading into the 2018-19 season. It’s the magazine calls “a conservative view,” since he only played five minutes last season. (Hayward broke his leg on court during his first game as a Celtics player). He’s just very good at basketball, but it’s not his only calling: Hayward is really good at Fortnite. He told Dot Esports he’s the best Fortnite player in not only the NBA, but in all professional sports. 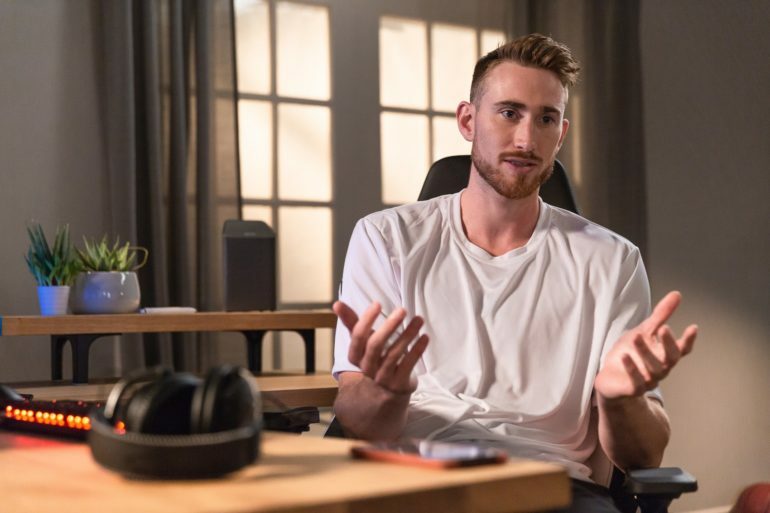 “Everybody plays [Fortnite],” Hayward said on-set last week filming for a brand partnership with Xfinity and its internet product, xFi. “My teammates, my friends… and everyone thinks they’re the best.” Hayward wrote a blog post in July where he described how he got into Fortnite after being laid up in bed after his surgery in May. He said then he’d like to set up an all-NBA Fortnite match, a way to settle the score. But now he’s confident enough to expand that to all professional athletes. Hayward said competition is embedded in athletes’ DNA, so an extension into video games isn’t surprising. “It’s just another outlet for competition,” Hayward said. But at the same time, it’s a way to take a break from a sport. Athletes have learned over the years that they can’t practice non-stop. It’s an easy and avoidable way to get hurt and burnt out. “When you’re off the court, off the field, off the pitch—whatever it is—it’s an easy way to wind down while still having fun trying to be competitive, to be the best,” Hayward said. Having an outlet outside of basketball is important in staying mentally and physically healthy. It’s a lesson that many in esports need to learn. Hayward has a clearly defined line between work and play: Basketball is a job, albeit a job he loves, but still work. Esports professionals haven’t yet found those clearly defined lines. Professional players, most notably in the Overwatch League, have found themselves burnt out after just a season for a number of reasons, one of which is a blurred line between work and play. Eight to 10 hours of scrimmages is a lot, no matter what you’re doing. And it’s not even including the time players stream or play casually outside of designated times, Hayward said. Stepping away from the sport is an important part of his interest in video games. It’s insights like these that NBA owners and investors look for from Hayward, who’s been the de facto esports consultant in the league. “A lot of people understand that I’m pretty into esports and at least a little knowledgeable about it,” Hayward said. Except in NBA 2K—not his game. “I don’t play [NBA 2K] so I’m usually like, ‘I can’t help you there,’ but if you want to talk about some of these other leagues, I can offer my opinion,” he said. Esports insider is the extent of Hayward’s professional investment in the industry, though, despite an interest in making his own investment. The Celtics are just over a month out from the start of the 2018-19 regular season, a game that will be an important marker in Hayward’s start to the season. It’s where he’ll prove himself on the court—but we’ll have to see if he can keep up his Fortnite title, too. Now who’s up to take on the best?